Business hours: 6am to midnight, daily. AT FIRST sight, the milky white broth simmering in a large stock pot did not appear inviting but one should not judge a book by its cover. The broth is a necessary base for Latest Recipe’s Mee Lala Kuah Lemak Putih dengan Sambal Kari Kering (Clam Noodle with Creamy Coconut Broth and Dry Chilli Curry Paste), a signature dish for the month of Ramadan. When asked what the restaurant’s specialities for the fasting month were, Starwood Hotels (Malaysia Marketing Team) marketing communications manager Melissa Mohan said “lala (clam) soup” and headed for the noodle station. Though slightly sceptical as the clam soup appeared plain, Melissa’s persuasiveness got me placing an order for it. Chef Budiman’s mee lala is a dish not to be missed. 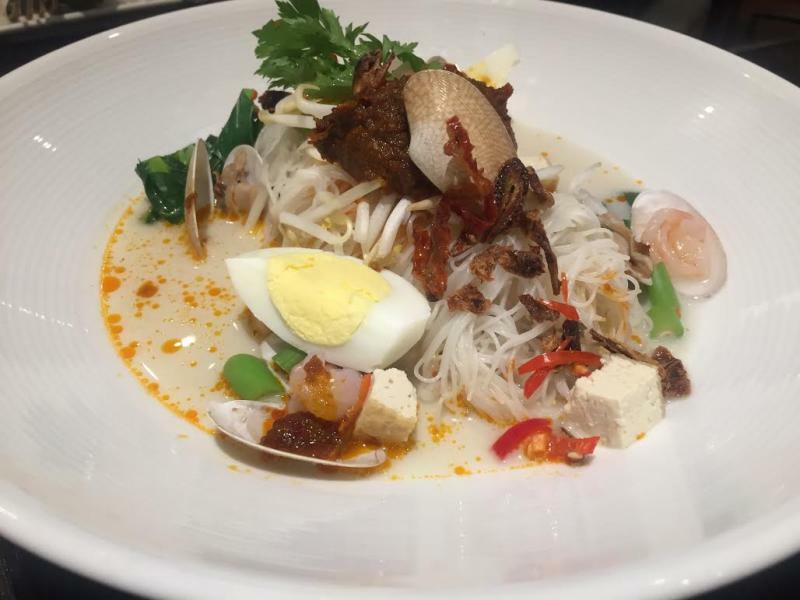 Although diners have a choice of mee hoon, mee or kuey teow, Le Meridien Kuala Lumpur sous chef Budiman Bistari said mee hoon was the best option for this treat. Unlike the popular laksam from the east coast, the clam noodle soup loses its white shade when sambal, which is among the condiments, is added and stirred in. The first spoonful revealed why it is a speciality here. The stock was slightly creamy, briny and very pleasant. My regret was not adding enough sambal as Melissa had advised. Budiman said the clam noodle soup, popular in the northern states of Penang, Kedah and Perak, was an idea borrowed from a Peranakan dish. With citrusy lemon hints on the palate, the use of lemongrass in the broth is obvious but to flavour it further, Budiman’s recipe calls for onion, ginger and coconut milk. The secret to this tasty dish lies in the sambal. There are 10 ingredients in its making including dried shrimps, belacan and dried chillies. This is the first time the dish is being introduced at Latest Recipe, said Budiman. “When executive chef Antoine Rodriguez suggested we have a dish that was ‘friendly’ to all, I thought hard about a dish that many enjoy and curry mee came to mind,” said Budiman, adding that he employed the concept of ukhuwah – the bond of relationship – to bring families and people together when savouring the dish. With more than 200 items on the buffet, Latest Recipe’s seven-day rotating menu allows diners to enjoy different dishes throughout the week. The main dishes, Budiman said, represented Malaysia’s 14 states. “We have a mix of some traditional and fusion-style recipes at the main section. “For example, the Lamb Bamia is usually thickened with cashew nuts but I have given a twist to the recipe by using 70% cashew nuts and 30% white beans,” said Budiman. 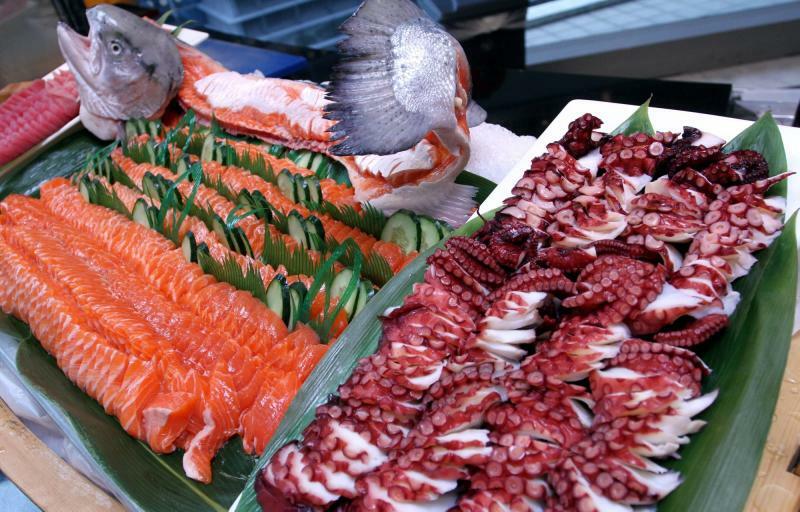 Diners can opt to break fast with sashimi from the Japanese section of the buffet. While Latest Recipe is known for its extensive Indian corner and Japanese section (with teppanyaki, sushi, sashimi and hot-from-the-wok tempura), Rodriguez, who was nearby the soup area, recommended the rice porridge. Although it looked like bubur lambuk, Budiman explained that I was having kanji. “We have two types of rice porridge on the menu – bubur lambuk with spices and kanji with only a few spices,” he said. Using minimal ingredients such as shallot, ginger, black pepper and fenugreek, the chef adds coconut cream, prawns, chicken, carrots and potatoes to make a truly palatable kanji. The Roasted Baby Lamb is popular with diners. 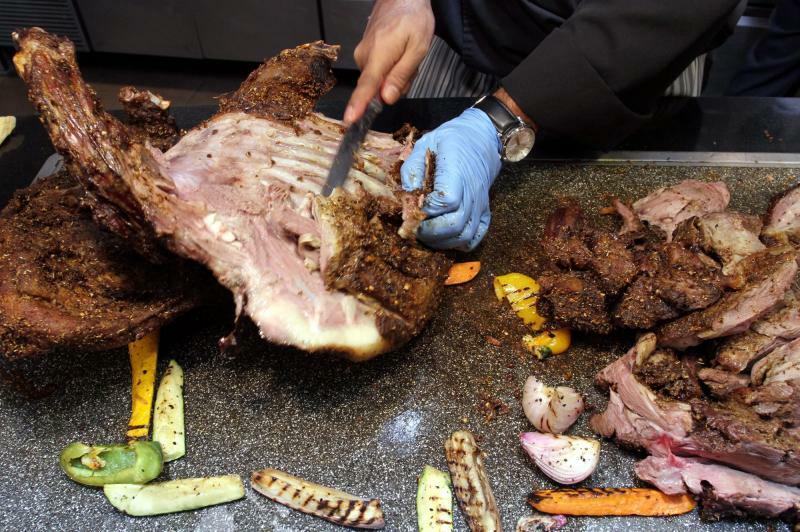 The roasted lamb, a significant feature here returns but this time, instead of using Middle Eastern spices, Budiman has opted for local spice mix to marinate the lamb. The carving area is popular with guests, and there are various condiments to go with your meat including mustard, pickled onions, pickled garlic and pickled carrots. The dessert area, too, has its own highlights with a Turkish ice-cream counter, pengat durian, traditional kuih, chocolate fountain and a wide variety of local fruits. 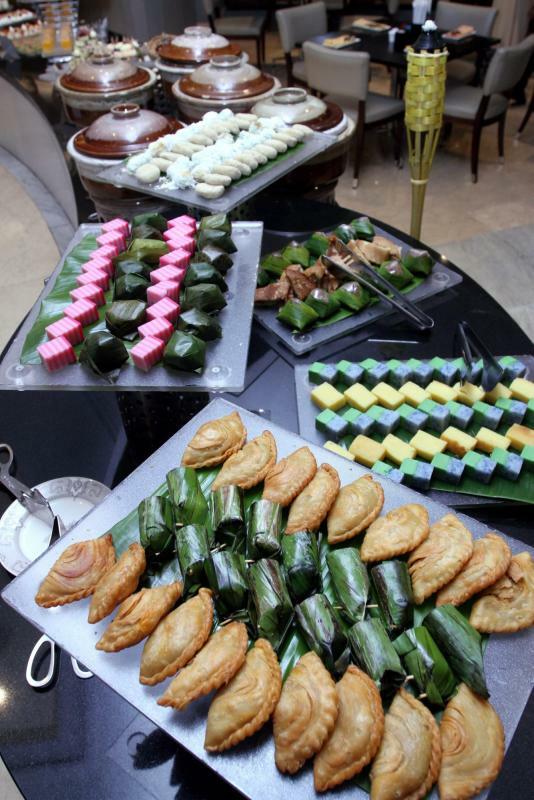 A selection of popular traditional kuih for diners to feast on. Though I mentally made a note to have a second bowl of clam noodle soup, the various choices at dinnertime left little room to entertain that thought. As such, a return visit is now on the cards. 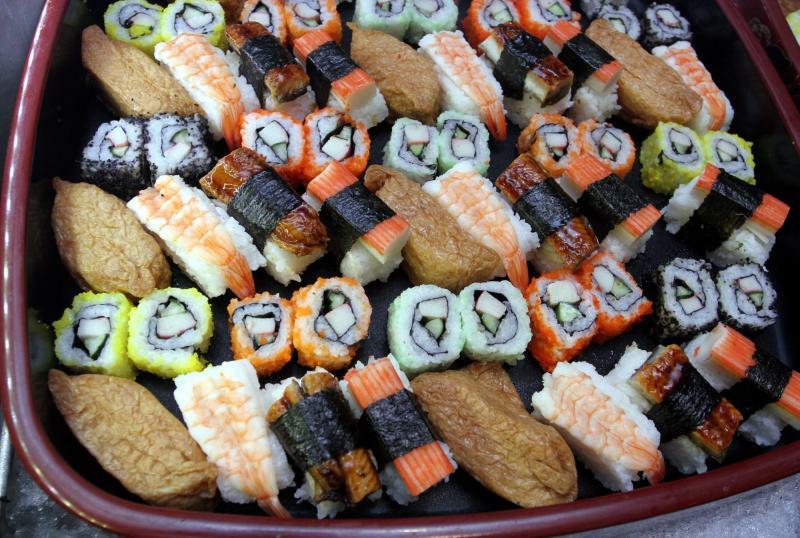 The break-of-fast buffet, priced at RM175 nett per adult and RM87.50 nett per child, is available until July 5.